Offering affordable and accessible youth Learn to Sail programs, following the CANSail curriculum. The Hubbards Yacht Club was founded in 1966 by a group of permanent and part-time residents of Hubbards. They had a vision and a goal to create a constructive outlet for the energies and spare time of children beginning at the age of eight. Since 2012, the Hubbards Sailing Club, as it is now known, operates from a modern, purpose-built club house and school facility. 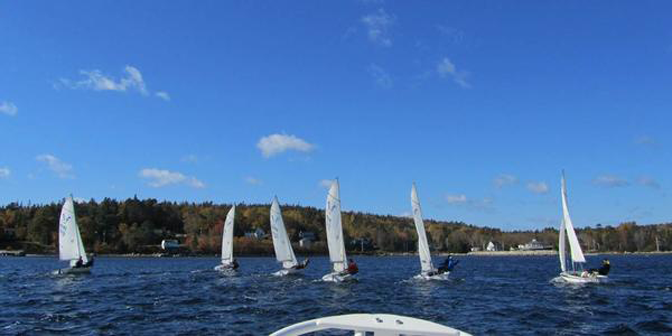 We offer weekend sailing programs during Spring and Fall for sailors with CANSail 2 and up. Our popular summer weekday series takes place in July and August; we offer week-long Wet Feet introductory sessions for ages 5 to 8, and two week CANSail programs (levels 1 through 6) for sailors up to age 18. We offer weekend sailing programs during Spring and Fall for sailors with CANSail 2 and up. Our popular summer weekday series takes place in July and August; we offer week-long Wet Feet introductory sessions for ages 5 to 8, and two week CANSail programs (levels 1 through 6) for sailors up to age 18. Online registration for programs opens in March each year and is accessible through our website.